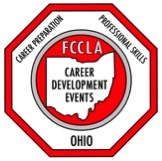 Registration for Career Development Events open November 15 and close on December 15. 8) Promote and Publicize FCCLA! 9) Promote and Publicize FCCLA!